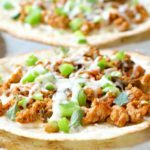 Y’all have to try this recipe for Roasted Cauliflower Black Bean Tacos… I don’t care if you’re Vegan, Gluten-Free, or a die-hard meat eater. This perfect eat-the-rainbow recipe is popping with fresh flavors. I used to do “Vegan Week.” It was back when I played around with being a vegetarian, and decided once-a-week to also giving up dairy. Y’all. I just don’t have enough will power to say no to cheese. Or apparently, bacon. But, all is not lost. I discovered that I really do love eating a mostly veggie diet. I learned that being vegan doesn’t mean sacrificing flavor. And, I learned that there are so many great brands and products that help people with special diets make great foods. 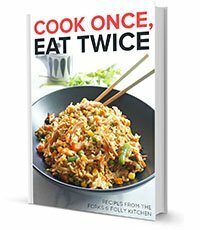 So, while I’ve gone back to my animal protein eating ways, many of the recipes and techniques that I learned during that time are still in rotation. Simply because they’re awesome. 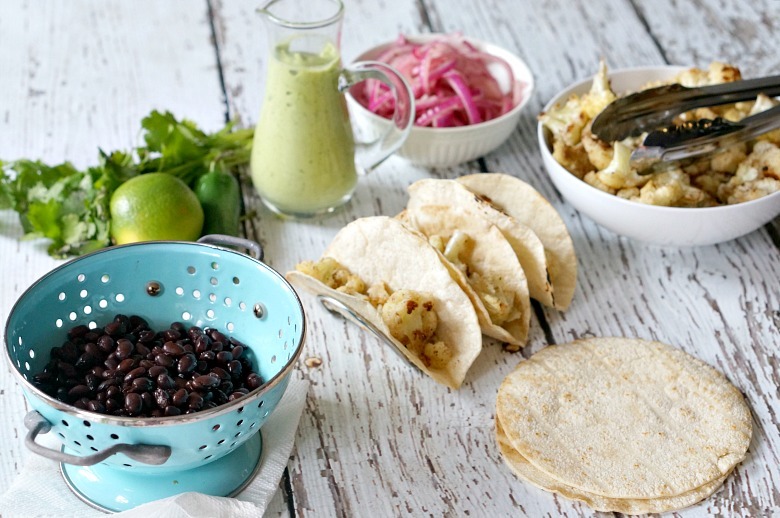 This recipe for Roasted Cauliflower Black Bean Tacos is one such favorite. With the bold flavor of the garam masala roasted cauliflower, the hearty texture of the black beans, the tart pickled onions, and the crema made from avocados, coconut and lime juice this meal is vibrant on the plate. 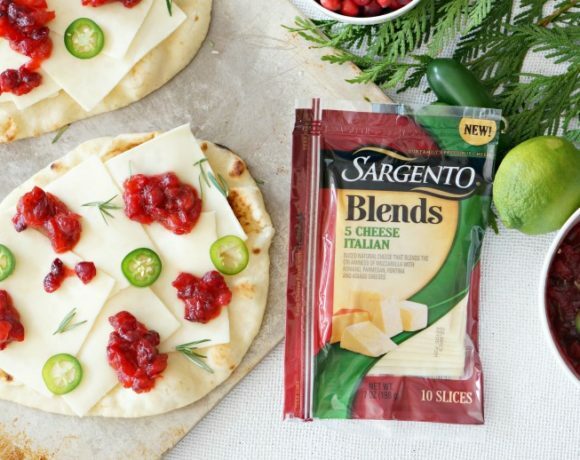 It’s a Mediterranean-Mexican fusion recipe all wrapped up in Mission Organics® Tortillas. 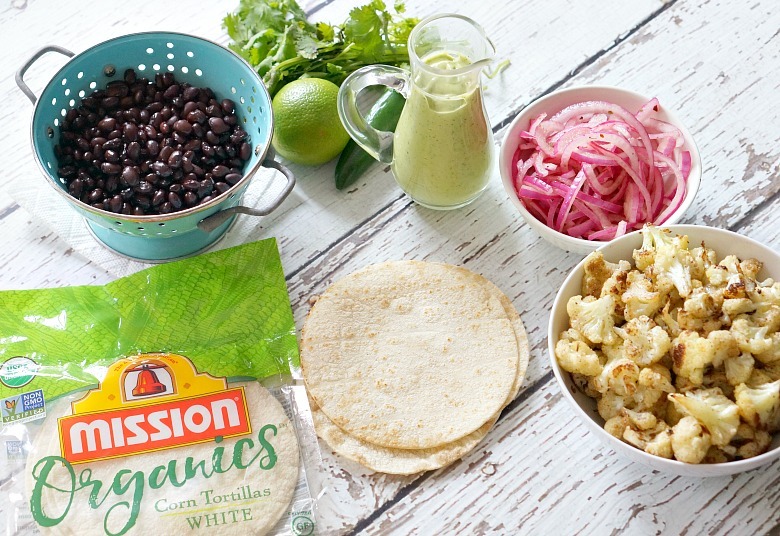 Mission Organics Tortillas are new to stores and are available in White Corn, Whole Wheat and Flour. 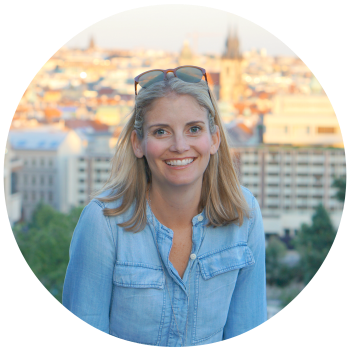 They’re USDA Certified Organic and non-GMO project certified. I found them, and all the ingredients for this recipe, at my local Harris Teeter. Preheat an oven to 450 degrees Fahrenheit. Add cauliflower florets to a large baking pan and toss with 1 TB. olive oil, garam masala, and salt and pepper. Cook until tender and charred in spots, about 20-25 minutes. 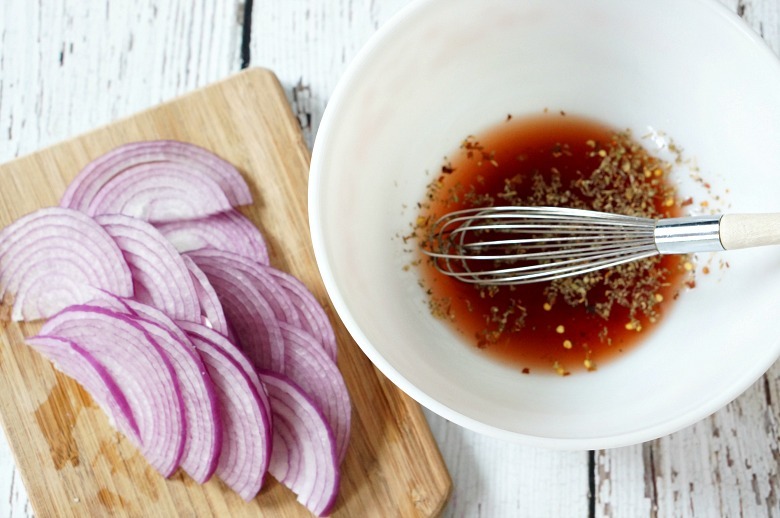 Meanwhile… in a medium bowl, whisk together the red wine vinegar, pinch of salt, sugar, oregano and red pepper flakes. Add in the sliced red onion and stir to coat. Set aside. Drain and rinse a can of black beans. Drizzle with a touch of olive oil and a pinch of salt. Stir gently. 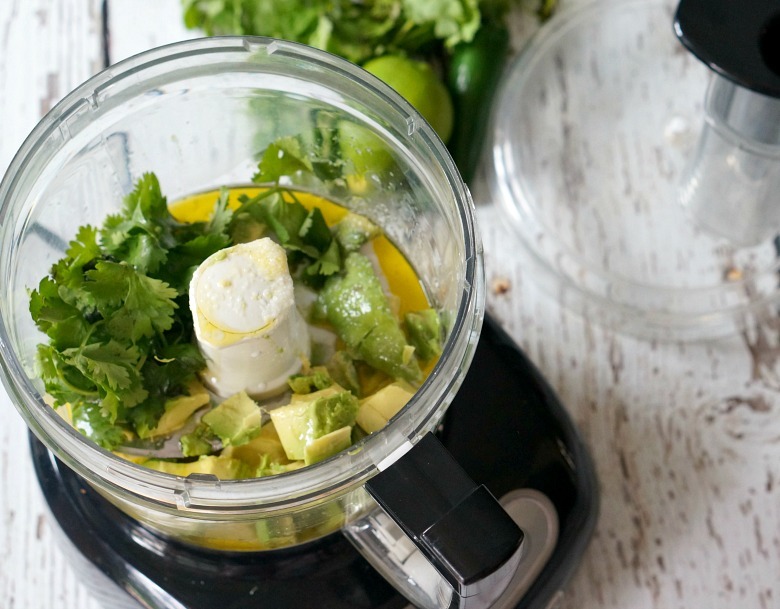 To a food processor, add the avocado, cilantro, can of coconut milk, the juice of one lime, and salt. Puree until smooth. Transfer to a serving dish. Heat a large dry skillet to medium heat. 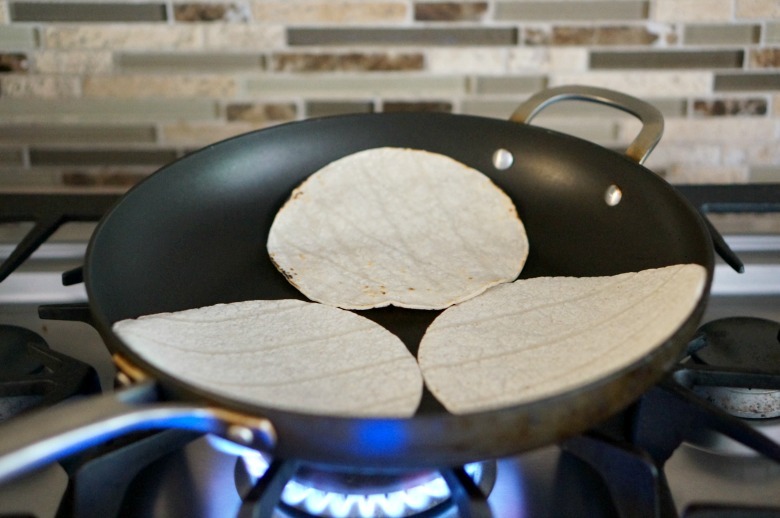 Place a few tortillas at a time and cook on each side until golden in spots. Now, let’s get to assembling these tacos! Layer each tortilla with cauliflower, black beans, avocado crema, and pickled onions. Add a few dashes of hot sauce if you like it spicy and dig in! 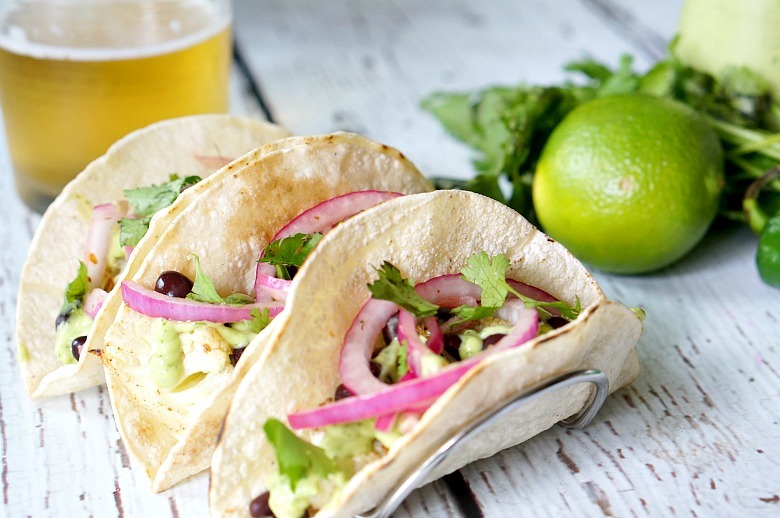 Serve with your favorite Mexican Cerveza. Taco night has never been more interesting! 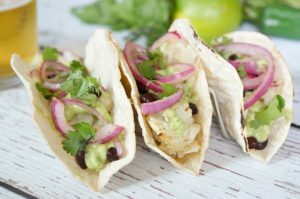 Y'all have to try this Roasted Cauliflower Black Bean Tacos recipe... I don't care if your Vegan, Gluten-Free, or a die-hard meat eater. This perfect eat-the-rainbow recipe is popping with fresh flavors. Preheat an oven to 450 degrees Fahreneheit. 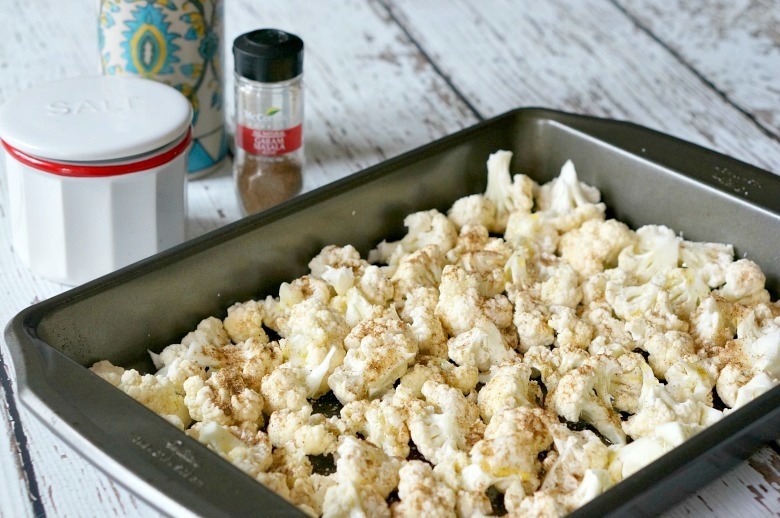 Add cauliflower florets to a large baking pan and toss with 1 TB. olive oil, garam masala and salt and pepper. Cook until tender and charred in spots, about 20-25 minutes. 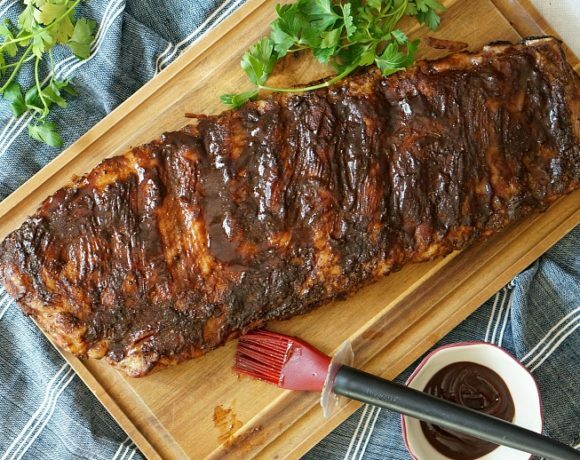 In a separate bowl, whisk together the red wine vinegar, pinch of salt, sugar, oregano and red pepper flakes. Add in the sliced red onion and stir to coat. Set aside. To a food processor, add in the avocado, cilantro, can of coconut milk, the juice of one lime and salt. Puree until smooth. Transfer to a serving dish. Now, let's get to assembling these tacos! Layer each tortilla with cauliflower, black beans, avocado crema, and pickled onions. 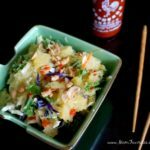 Add a few dashes of hot sauce if you like it spicy and dig in! 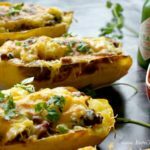 Serve with your favorite Mexican Cerveza! Looking for another vibrant vegan meal? Maybe you’ll love this Lemon and Tumeric Veggie Soup as much as my family does! If you’re on a gluten-free diet, try this Tuna Zoodle Casserole recipe. 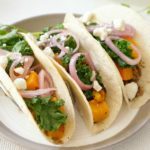 And don’t forget to click here for more recipes featuring Mission Organics Tortillas or for a store near you.